While the country’s economy is going to hell in a handbasket, our elected representatives are not spending their every waking hour trying to fix it. They should be, but instead, while the super committee is busy coming up with economic solutions, the remaining members of Congress are using their free time to move ahead on legislation to wreck the Internet. Your Internet. Our Internet. Wrecking the Internet as we know it is not their expressed intent, of course. But that is likely to be the outcome. Whether it amounts to unintended consequences or is a matter of Congress once again doing the bidding of their corporate sugar daddies, we can only speculate. This legislation is known as the PROTECT IP Act (S. 968) in the Senate and the Stop Online Piracy Act (H.R. 3261) or SOPA, in the House. 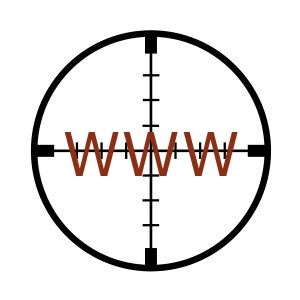 It masquerades as an attempt to protect the copyrights of certain large industries (recording companies, movie studios, and pharmaceutical companies, for example) but would open the door to all kinds of collateral damage, such as being able to cut off the financial resources of a website, cut off all access to a domain name (eg, WordPress.com), or require an ISP to scrutinize all user activity in order to intercept users of a single suspect site. All this could be triggered by a single allegation. Under current practice, copyright owners such as TV networks and Hollywood studios reach out to websites to request that pirated videos be taken down. Under the new regime, they could ask banks, Internet service providers and domain name registrars to stop doing business with websites that they believed were devoted to piracy. They could, for instance, go straight to YouTube’s domain registration company and demand that the entire YouTube website be taken down. And if the registrar resisted, the copyright owners would have the legal ability to take the registrar to court. … The bill would also alter the relationship between the government and the basic architecture of the Internet, allowing the Department of Justice, acting on behalf of aggrieved copyright holders, to perform domain name system filtering — essentially, blocking entire websites in the name of preventing piracy. For more information, The Atlantic has an excellent article on the subject and Open Congress has lists of the interests supporting and opposing SOPA, as well as those for and against the PROTECT IP Act. The Digital Millennium Copyright Act (DMCA) has been in effect since 1998. We don’t need broader, more invasive “copyright protection” censoring the Internet. If you care about freedom on the Internet, about your blog, your favorite shopping sites, or your social network, get informed and then write to your representatives and tell them you oppose the PROTECT IP Act in the Senate and the Stop Online Piracy Act (SOPA) in the House. Congress.org makes it easy to compose a letter and send it to your representatives and the president with a single click. At OpenCongress.org, you send a letter to all your representatives simultaneously and track their votes. Easier still, you can just sign your name on a form on the website of the Electronic Frontier Foundation. Or use your favorite method. But act now. Exactly. And I think we can look to the entities you listed in parentheses if we wonder who’s paying now! The lists of supporters and opponents I linked also include how much money has gone to which congressmen. It’ll turn your stomach. PiedType, this makes my blood boil. Once again the big corporations are being protected and pandered to, while the freedom Everyman has in the cyberworld is being compromised at every turn. Thanks for the heads-up: you can bet the same is on the cards over here…. Bravo! I need to compose something rational like that. Rants won’t accomplish anything, although I’d dearly love to unleash a few. Thanks for making me aware that I could sign up at OpenCongress.org and send letters from there to my representatives and track specific bills. I thought Congress.org was good, but OpenCongress.org looks even better. I just tried the “Open Congress” site and I agree, Pied and Terri. It is OUTSTANDING!! Thanks to Terri!